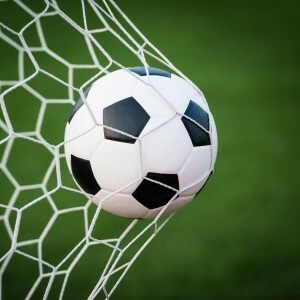 Football is beyond good and evil. Most players belong to one of two tribes. Managers scarper amongst the rotund detritus of this pre-apocalypse. They pick and choose and gamble. All victory + existential doom = football managers + negative ostentation. 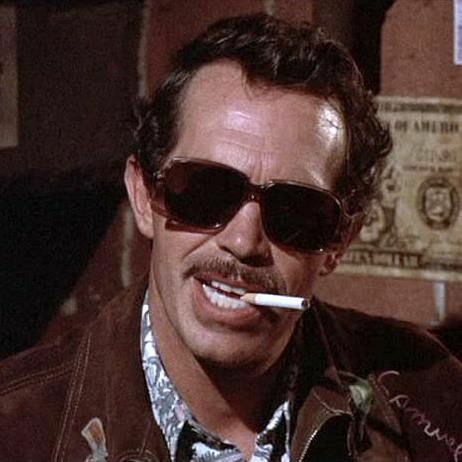 Warren Oates is, without a shadow of a doubt, the greatest actor that ever graced the medium of cinema. He continues to traipse across TVs via the medium of VHS, DVD, internet etc leaving a trail of cinders in his grizzled, charismatic wake. He was a thousand and one rebel clichés brought to life with vim and vigour. A maverick rogue with a heart of gold. The raw, untethered romance that Oates embodied in life, real and otherwise, will never be seen again. Whether good guy or bad you could only ever be on Oates’ side. He combined unbridled masculinity with the soul of a poet. This was a man in control of his destiny, restrained and resourceful in the heartiest of atmospheres. A stone cold genius. Oates’ perpetual loser takes a journey to hell on a search for riches and redemption. Hellman and Oates invite you into the willfully stubborn mind of a man who forsakes love for a misplaced and misguided sense of honour. Oates at his most captivatingly beautiful. A cashmere bedecked bullshitter with no map nor purpose but a lust for drama and adventure. Motor bikes, motor homes, devil worshippers, Peter Fonda and the man. Laconic boy racer defies the world to challenge his mid-life crisis. Oates is the dependable best friend. The kind of man you would lay down your life for. Oates’ undimmed charisma may never fail to shine through but his quiet, unfussy performance is a beautifully understated gem in his filmography. As I lay in bed, eyes shut tight, body rigid with fear, I could feel the encroaching, claustrophobic darkness of a humid late summer’s eve envelop my body in its clammy grip. The slight breeze that had been drifting in through the window, providing brief respite from the terror of the unrelenting heat, suddenly disappeared, as if sucked back into the unforgiving atmosphere. Lying puzzled, bewildered and terrified, my heart palpitating at every unannounced flickering shadow, I tried my hardest to evacuate all thoughts from the swirling vortex of tumult and pain that was clogging up every inch of my tormented brain. But…but…but…so many buts…big, big buts…I could not prevent four terminally destructive words from parading their gaudy wares around the inner recesses of my mind. On their soul destroying march to oblivion they seemed to get stuck on a punishing loop. Round and round and round and round. If the inertia of this unforgivably hot night hadn’t already taken hold I would have tried to drown them out with my own cacophonic chorus. Instead I remained still, sweat pouring off every inch of flesh onto increasingly sodden bed sheets. Next to me, completely unaware of my anguish, lay popular TV presenter, Gloria Hunniford, her stale beauty radiating an aura of benign decorum. I turned my head to breathe in her bland architecture. Tonight would possibly be the last night we would take detached comfort in empty embraces. Mary Winifred Gloria Hunniford flinched and murmured before losing herself amidst broken dreams while I tried to find ways to escape this broken reality. I slowly raised myself into a sitting position and grabbed the leather bound book that rested on the bedside table. The piercing moonlight helped as I flicked though my contacts looking for the one man who might be able to provide some answers. Fiddling with timbers was never an ascetic pleasure. Futile constructions wrought from the recycled lumber of glossed and varnished memories. Broken dreams often surrender the truth, revealing splintered mock Tudor frames, inert rocking chairs and banished banisters. Yet our hopes reconfigure and renew the unrelenting, inescapable burnt out forests of modernity. Escaping from the pummelled woodland, like carbon dioxide into the atmosphere, the Hysterics Of Yore were a toxic shot to the ecosystem; a coven of bad tidings and bone rattling skulduggery. They celebrate the corporeal commotion of life’s final bow, the happenstance of morbid punctuality. Timely demises. Expected ends. Prompt partings. Saddened swallows, with an insatiable taste for blood, swoop low over earth’s forgotten, least mourned cadavers. Filled with carnivorous intent, this feast, and a divine distraction from their ostentatious flights of calcified fancy. Jagged beaks tear and slash through the sallow, soft residue, sharpening themselves on what were once tender clumps of osseous matter that cosseted organs and provided a structural cohesion to an otherwise flimsy edifice. Strewn morsels of chewed flesh glisten and glide across luxuriously carpeted abodes. Hysterics Of Yore once shattered the harmonies of nature with brute force abstinence. They used to cowardly carp from the sidelines, denying and decrying the possibility of a future swathed in gentrified sustenance. Times have changed….tick…tock….tick…tock…People move on…Mrs Barabbas Cartland, bewilders with urgent regret lashing out at vague circumstances, yet ultimately ending on a note of dejected acceptance. “She died yesterday, for our sins, for our sisters in Clementine. She dies every day, for our sons, for our brothers in ermine…And she died when she did because she was old,” lead singer Sally Posh Larkers declares. Fay Wray Had To Go Before Hitting One Zero Zero is a shambolic turn of events; a lowly lament for King Kong’s one true love. The clattering Gone With The Hope summarises the life and times of Bob Hope in two words – ‘fickle splendour’. It heaves and hos up the stairs and through the chimney via a brittle harmonium-guitar freak out. Timely Demises yearns and spurns the rituals the death. Hysterics Of Yore decided to stop chucking breezeblocks off motorway bridges. They wrapped their arms around a memory and relinquished their fear of life, celebrating its finite betrothal. The utter confusion Asunder briefly instigated has now long been forgotten. Some childish minions buried it beneath three weathered steps in an unnamed park in Dorset. It was lost amidst a jungle of towering foliage, wild grubby green weeds and desolately abandoned animal habitats. Recently there was a one-off revival. The surviving band mates, except for singer Arch Keach, reunited. They refused to actually play together, having long ago renounced the music of their youth. Instead they talked, lectured and pronounced upon the imponderables the music attempted to convey. Those that attended went home departed bored, drilled and bemused. Arch Keach lives in a velvet tent, on the outskirts of Mitcham, filled with an assortment of bric-a-brac and handcrafted cricket bats. Keach is a character from a book that will never be written, that never wants to be written. 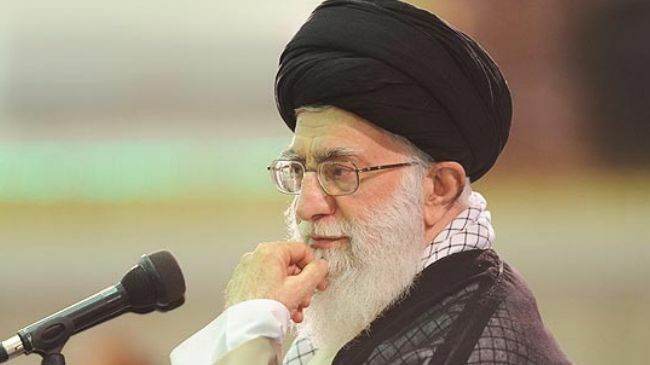 Due to his various bourgeois addictions and mental health problems the few people that knew him, whenever he happens to cross their minds, assume he is already dead. Maybe twenty years ago, maybe last night. Maybe decomposing somewhere, in solitary confinement, yet to be discovered by unconcerned neighbours/governmental forces/the uncaring world. He didn’t die. He grew older and greyer. The wrinkles grew deeper as if etched into his face with a blunt scalpel. His bones began to crumble causing him to shrink and slouch. Arthritis did hobble him. He travelled, he babbled and he dabbled in the occult, joined the Magic Circle and collected hordes of junk. Keach hopes to create a junkyard orchestra and re-jive Martin Grover Abruptly Absorbed The Future for modern times before his body finally succumbs to the tranquillity of death. 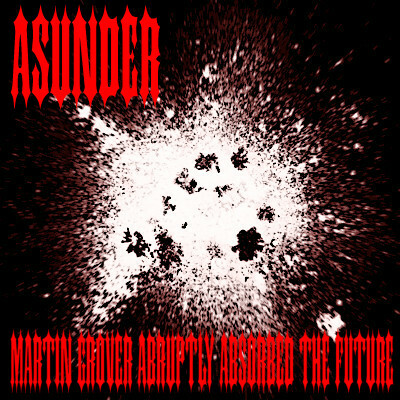 The past times Martin Grover Abruptly Absorbed The Future is an inter-dimensional anomaly. The result was the sound of four broken-hearted boys plundering their anguished souls for depth and meaning. Instead they dive headlong into the cold concrete pit of their collective despair. Pained howls of courtly despair describe in intimate detail the minutiae of every deserved snub and dissect all those rejected grubby advances. Imagine Chaucerian notions of courtly love as re-imagined by Harmony Korine and sound tracked by Daniel Johnston. It is a raw and raucous ride through wearying self-pity. A glittering kaleidoscope of images, colours, shapes…Searing, distorted fragments – elevated, mystical communiqués from the third eye. Fabricated neon dots shimmer and splinter against a cold steel backdrop. Reflections gleaming off the surface with pin sharp clarity reveal the broken language of an army of unsold broken deities, suspended like moisture in the air. A language without meaning, without form and, until Ford Madox Ford entered the 60s Canterbury psych scene, content. 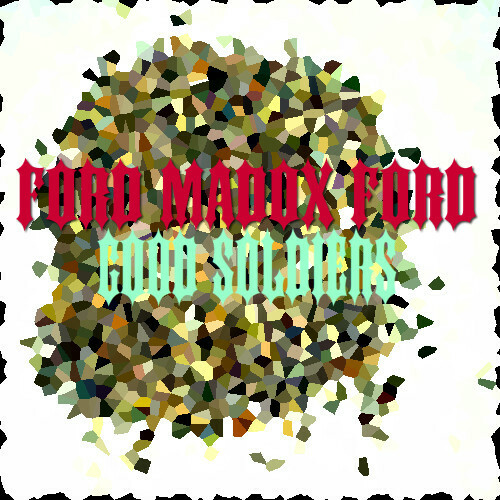 into the musical offerings to be found on the Good Soldiers LP. All the secrets of the past, present and future, every answer to every question ever posed are to be found here. All you need is the time and patience to extract every microscopic clue, every distracting molecule and piece them together like the world’s most infinitely complicated jigsaw puzzle. creaking in the wind, fuzz guitars biting, the miasmic sound of scuttling violins and coiling bass lines unleashed. FMF are the unknown soldiers fighting a war that cannot be won, fighting for reasons long forgotten. It happened last night. The wind was taken out of my sails. I stumbled around my bedroom spluttering. Coughing and twirling. It had started all so suddenly. 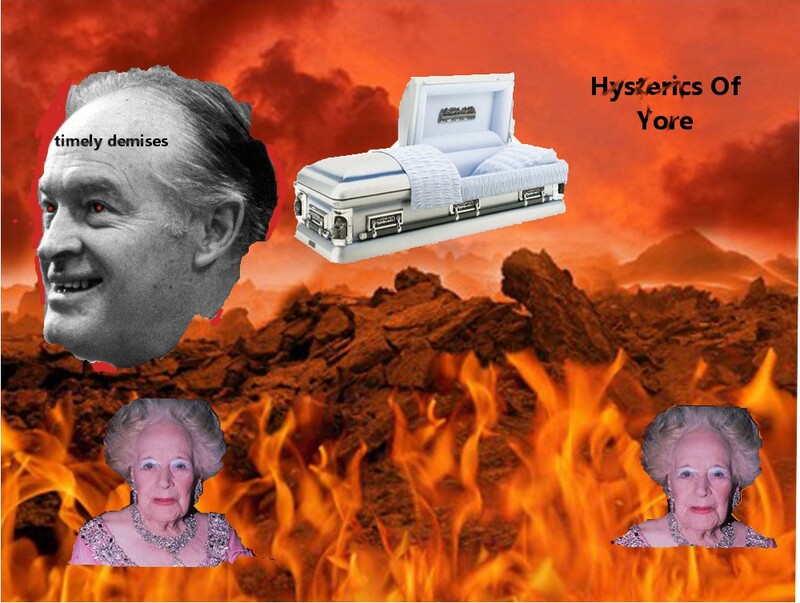 And then it ended just as quickly, thick, warm blood spewing out of my mouth with the last wretched retch. It was absolutely no coincidence that the needle had at that very moment dropped with a body shattering collision onto the brutalist grey vinyl that encased Bratislavan Nod’s You Have Been Proved Wrong. 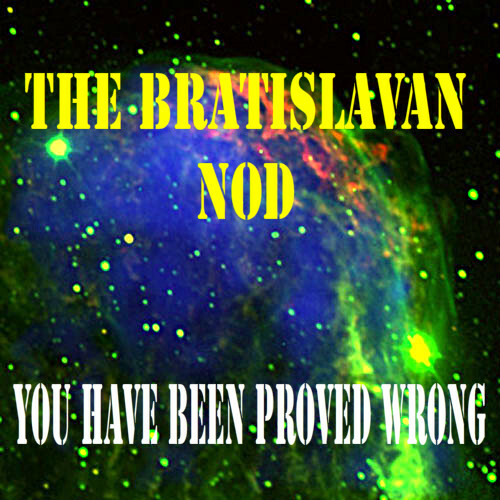 Power trio Bratislavan Nod attempted to deny existence. They refused to believe. Their petulant refusal to believe became their faith and foundation. They were young, arrogant trust fund rebels with a nagging ache in their heart. They knew nothing about anything and couldn’t care less about everything else. You Have Been Proved Wrong was their only album, a cosmic stab in the dark. Album opener, These Pretty Little Girls Shouldn’t Be Smiling At You is an elderly lady’s voluble remonstration with a bus driver about the questionable conduct of a gang of teenage girls. All set to a fluffy bossa nova beat and the unpleasant crooning of a jaded heart attack. Blinded By Elephants Playing Beatles Songs Ever So Badly is elemental in its juddering wrath, bathed in Cream and Humble Pie with lashings of astral levity. As if that wasn’t enough (and it probably should be) Ticked Off With The Traditional Handshake is bigger than the Big Bang. Oliver Spite’s guitars glisten and glide with the precision of a freshly sharpened carving knife, Anthony Spite’s bass caves in the Golem’s skull and Benjamin Spite dives and dashes into his compact drum kit. It burns Emerson, Lake & Palmer at the ashes and consumes them alongside the blood of a thousand aching angels. This really happened. It will never happen again. God willing. Whatever happened to the likely lads? Whatever happened to Tony Blair? Whatever happened to prog-pub? Whatever happened to Tiny Blair and his Chips & Gravy cohorts? 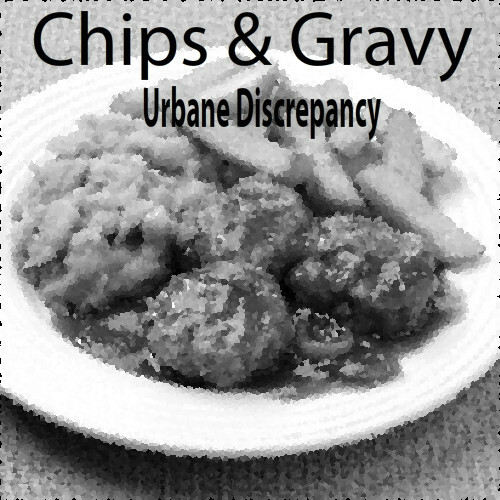 Chips & Gravy were part of a microscopically small satanic offshoot of the provincial pub-rock scene. Bands that set off into outer space from their broken down bases of industrialised Essex dives. Chips & Gravy were the generals of this intransigent anti-scene. funk rummaging through Wilko Johnson’s rag bag of greatest riffs. And The Soul Goes On turns everything down a notch. It’s a sturdy moody blues ode to the serendipity of nature. The tempestuous Hot Rods guitars return on the bespectacled-Michael Caine and moustachioed-Stanley Baker toe tapping Zulu beatdown, Don’t Freak Out Mama, I Ain’t Gonna Cry No More. Chips & Gravy entered the stratosphere never to return. They were last seen blasting the Optotron galaxy into tiny pieces with beer bottles, cricket bats and sweaty determination. No peas, no bread, just chips and gravy. 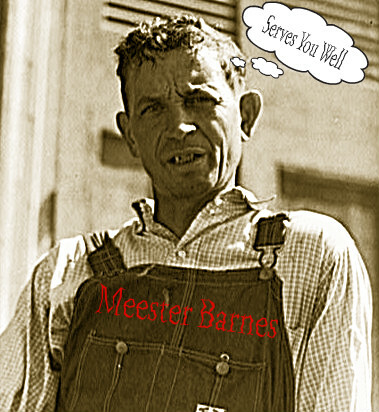 In 1971 Meester Barnes invented industrial noise-rock. Imagine The United States Of America taking Nine Inch Nails bowling in a post-apocalyptic wasteland in the year 3102. Trippy neon soundscapes intermesh with David Koresh jiving amidst banging, clanging guttural interference. They combusted with a faint autonomy six months after the release of …Serves You Well, leaving behind a culpable mystery no sane musicologist dare uncover. Anyway let’s get down to molten brass tacks. The party gets off to a gory Manson party start with the fragile metallic lullaby, Where Is The Truth Mandingo? Its arcane percussive philosophy meanders bristling with hysterical squawks. It won’t be difficult getting lost in the grinding testicular monotony of He Who Hath Dined. An army of barelytuned acoustic guitars bombard dead crippled children with a callous cacophony of macho rutting. Hushed whispers phonetically share delicate secrets. We Talk To Racists is a factory in revolt. Flesh and steel melding, corrupting and destructing as vocalist Tim Britons chants in tongues. …Serves You Well will deny you. It is Macbeth’s three witches scrabbling around in their trough scoffing at the lot of mankind’s abrupt fatalism.